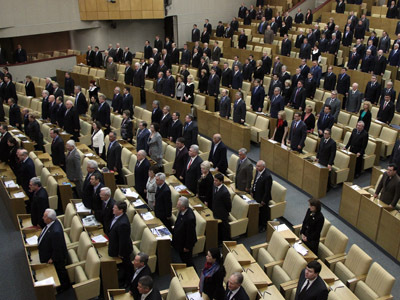 The State Duma has unanimously approved the presidential bill reducing the minimum political party strength and radically easing the process of party registration. The bill is part of Dmitry Medvedev’s broader plan of political reforms. It reduces the minimum number of party members to 500 from the current 40,000 and also drops the requirement of minimum strength of regional branches. Now the document must be approved by the upper house, most likely at the March 28 session, and signed by the president. Sixteen amendments were made to the initial text of the bill and for the first time the State Duma invited representatives of non-parliamentary parties and non-system opposition to take part in the discussion. Deputy Duma speaker and a top functionary of the parliamentary majority United Russia, Sergey Neverov, told the press that the work on the simplified party registration had changed the lower house. 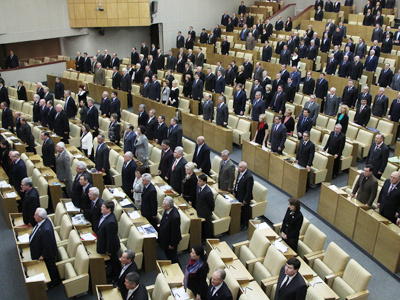 Neverov said that representatives of non-parliamentary and non-system opposition appeared in the State Duma twice in one month to discuss the bill and suggest their own amendments. He stressed that the existing bill was a result of a broad discussion and considered all viewpoints. “This is the essence of the main principle of democracy,” the official said. Neverov once again reminded the reporters that the new bill would allow a wide spectrum of new political parties to take part in the elections as soon as this autumn. 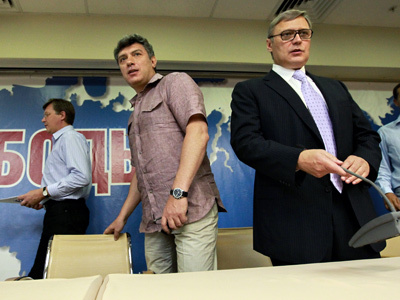 The leader of the non-parliamentary Left Front movement, Sergey Udaltsov, said that the bill was a big step towards the political reform, but the reform will remain incomplete without the permission to form election blocs and also some change the way the elections commissions are formed, tighten the control over the voting process and the responsibility for elections violations. Udaltsov also complained over the fact that the leaders of non-system opposition, invited for the third hearing of the bill in the parliament, were not allowed to speak during the session. The head of the non-parliamentary party Right Cause, Andrey Dunayev, told the press that though the new bill “enlarged the political space,” it would not become effective without the ability to make elections and political blocs. 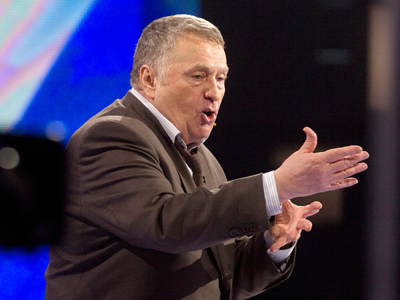 Sergey Mitrokhin, head of another non-parliamentary party, Yabloko, also called upon the legislators to “restore justice” and to add to the law the license to form blocs.